Since the theme is my choice today, I thought I’d introduce you to an exciting new story! 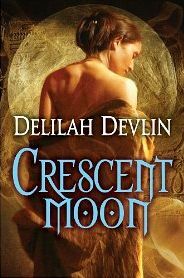 Crescent Moon will release on June 4th—or at least the first installment of the book will release on that date. The scary part for me? It’s not all written. Once the first part releases (the first five chapters), readers will have a chance to interact with me to let me know what they think about the story, and maybe to influence the rest of it! I have just two parts completed and am working on the third. There will be eight altogether. This will be a full-length novel by the time I am done, but you will only have to pay $1.99 to begin reading, and then every two weeks, a new installment will be shipped automatically to your Kindle. You won’t have to pay another penny. What’s Crescent Moon all about? I’m not 100% sure. Because I’m so excited about this project, I have a special prize to offer one lucky commenter today. Let me know how you like the story so far. Be sure to check out the book at Amazon (just click on the cover!). The prize? A pair of earrings, handmade by me. 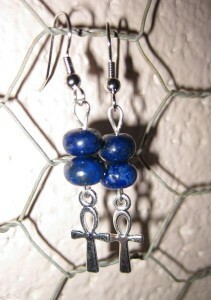 Silver and lapis lazuli. Something Egyptian-themed to go along with the book! I will choose a winner Sunday night! Enjoy the excerpt! One last time, her mind drifted, peacefully content…no shadows or disquiet to disturb her…allowing her to separate the parts of herself, first body from spirit…and then the mournful, dying part of her soul to dwell forever in the pit, while what remained, the part that would be born again, floated upward on golden wings. She blinked, bright sunlight streaming through a hole in the rock ceiling above, blinding her, making her eyes tear. Unable to turn her head, she peered beneath the fringe of her dark lashes, through the openings left in the fabric, gazing upward. Her sight cleared slowly, but was filtered as though looking through the gauzy curtains that surrounded her bed in her tiny house inside the temple walls. But the haze obstructing her sight wasn’t merely physical. It was a thin curtain pulled over her mind. One placed there. Purposely, to confuse. Her head reeled, not understanding, not recognizing where she lay. The sickly-sweet scent of frankincense tickled her nose. He bent closer, his dark eyes alight with sympathy. But then he moved away. 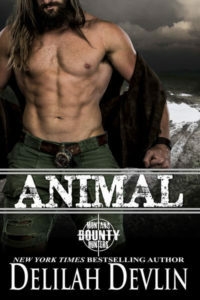 Taking with him his masculine scent, musk she’d found attractive. The odor mocked her now. Although she feared him, she wanted to cling to the sight of him. Didn’t want to feel so alone, so trapped and helpless. Perhaps she could reason with him. But he was insane. Would no one stop him? Deep in her mouth, she gurgled, nearly choking on the tears that leaked from her eyes and burned the back of her throat. “Please,” she whispered. From a distance, she heard his footsteps. He drew nearer, holding in one hand a slender reed with one end frayed and trimmed to form a brush and dripping red paint, and in the other a palette, red pigment swirled. 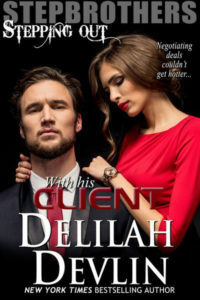 He leaned over her and made strokes on the coverings enclosing her chest, down her belly, splitting over her thighs and moving down to her toes.